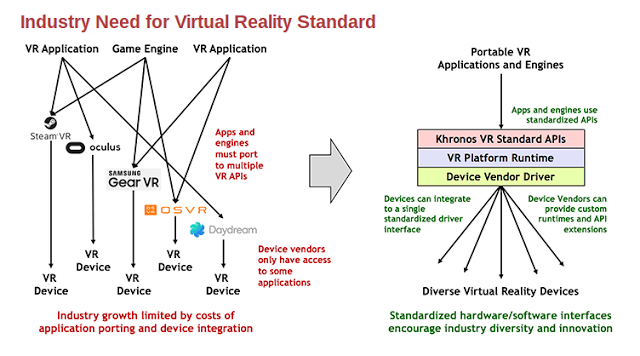 The Khronos Group is a consortium that creates royalty-free open standards for graphics and other application. Among the standards it has created are Vulkan, OpenGL, OpenCL, and WebGL. 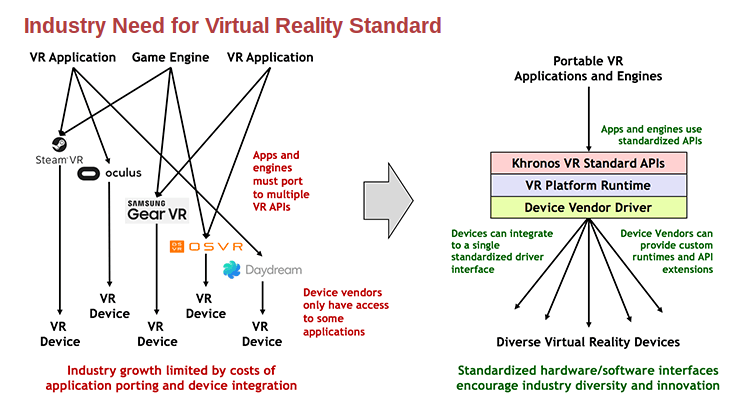 Khronos announced that they are developing a standard to allow VR apps and game engines to work across different VR hardware such as headsets and motion controllers. Ideally, this could mean that software developers can develop a single app that could be used in several VR headsets, thus increasing the audience for each game and making VR development more commercially viable. Among the companies that are working toward this standard are Google, Oculus, Valve, AMD and NVidia. Microsoft is not [yet?] part of this effort, and it is also not a member of the newly-formed GVRA. TECHNIQUE: Buying a used camera? You absolutely need to use this to check a lens.